This is one of the cards for the Sweet and Simple class on Saturday 10th February. This one uses the colours from the studio. The chairs are painted in these colours, melon mambo, rich razzleberry and wisteria wonder. I have four other sets of colours to give this a go, not sure when at the moment. keep checking back to see. I made a box for this one too. What colours would you choose for the flowers, yellows and oranges or shades of blue? By clicking and of the product numbers you will be taken to that product in my online shop. From there you can have a good browse. When you have had a browse and are ready to place your order use the hostess code KSFV7G3Z before you shop. When shopping with me for orders over £30, those who use the hostess code, I will send a card and a gift in the post at the beginning of March as a thank you..... more lovely crafty goodies! 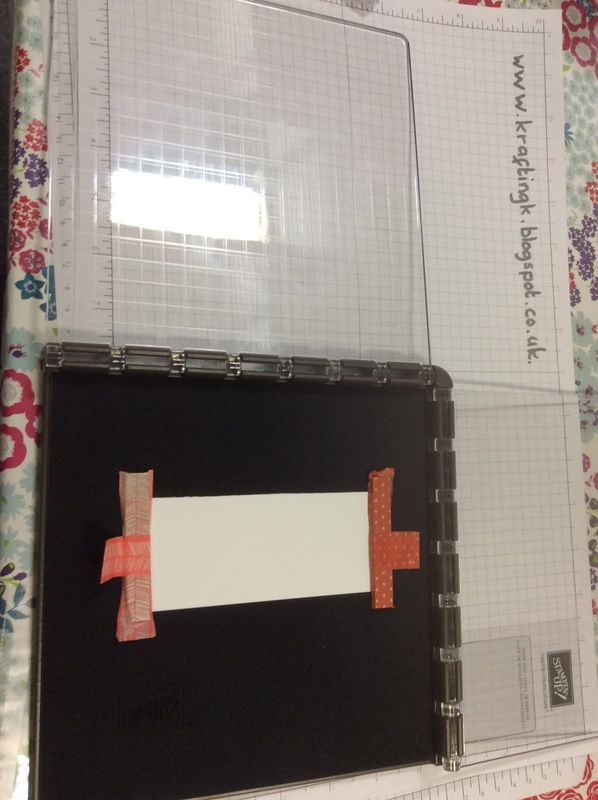 If you spend £45 you can choose a FREE item from the Sale-A-Bration brochure. Another one I love in the Epic Celebration set. I haven't used the headphones, I'm not sure what to do with that image but I'm sure at some point I will be inspired. Daubing again, the spots and coffeee cup rings are from the 'Timeless Textures' stamp set. The background cross hatching is from a long ago retired set that I can't part with! The white parts of the guitar I have covered with fine tip glue. This gives it a shiny cover. The ladies at card and a cuppa loved this one to. 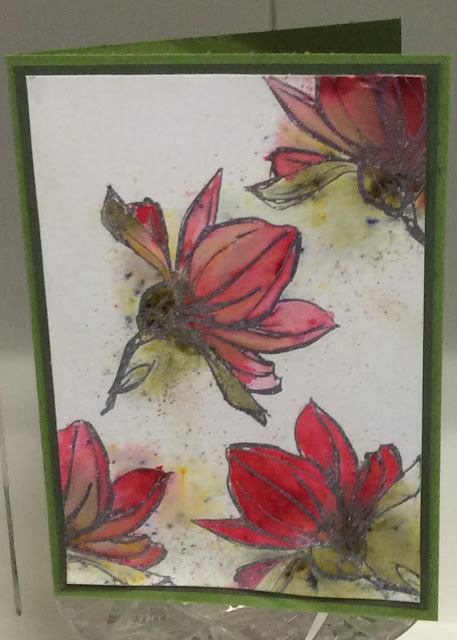 Today I have one of the cards we made at card and a cuppa, a few weeks ago. I really like this set but was unsure how my ladies would feel about it. I am glad to say they loved it. This is the first make with this set. We regularly daub with sponges. When stamping the dots across the card we inked with the lightest colour, here it is soft sky then added pen over that initial inking to give the dotssome more colour. The also daubed the edge of the turquoise circle. The convers were coloured with marker pen. More makes with this stamp set tomorrow. So who would you send this card to? When you have had a browse and are ready to place your order use the hostess code KSFV7G3Z before you shop. When shopping with me for orders over £30, those who use the hostess code, I will send a card and a gift in the post at the beginning of March as a thank you..... more lovely crafty goodies! Today I have a great sized treat box for you. This is cased from Amanda at Scrimping Mommy. She has lots of lovely ideas but I couldn't resist this one. I have resized the lid to fit inside the box as I wanted my walls to stick to the box all the way up, but other than that its the same. One dragon and one knight are stamped and coloured the others are fussy cut from the designer paper. I have fussy cut my stamped knight and dragon as I didn't buy the available dies. Its funny this is the second set of pictures I have taken of this but they still are not right. They do give you an idea of what the box looks like. The door is the wood designer paper. More dragons around the corner. 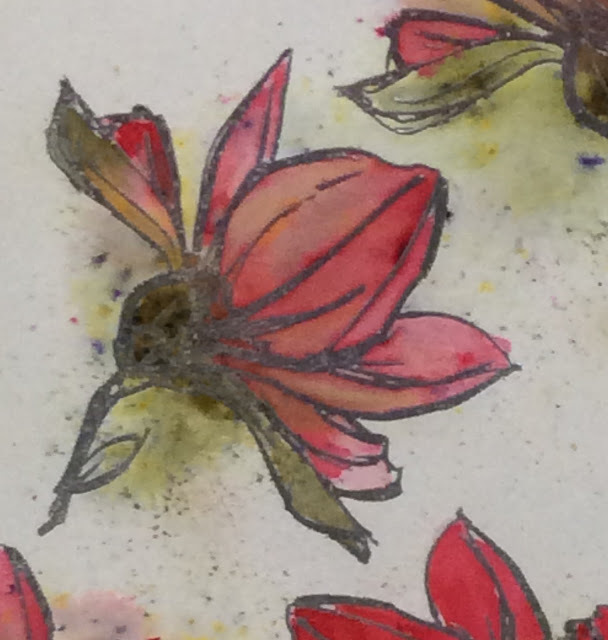 This one I have coloured with the blends, you do get a lovely finish with them, the nibs are beautiful to work with. On the opposite side 2 knights from the designer paper.Lots of fussy cutting here. Not really but it is something a little different. I saw something similar on here and thought I wanted to do similar but with the unicorn. I also have a mermaid in my head. Maybe next week. I have used the Magical Day stamp set and the beautiful glittery Myths and magic designer paper. The whole item is in a clear tiny treat box. It is only 5cm square. 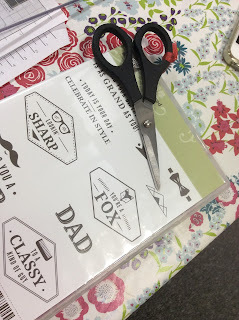 Lots of fussy cutting from the designer paper, including the clouds. Just the largest unicorn is stamped, then coloured with marker pens. I love it, its just so cute. Last one for now. More to come next week! Another card cased from the catalogue but with my twist. My twist is the daubing and hand-drawn stitching. Off to craft with something new. When you have had a browse and are ready to place your order use the hostess code KSFV7G3Z before you shop. 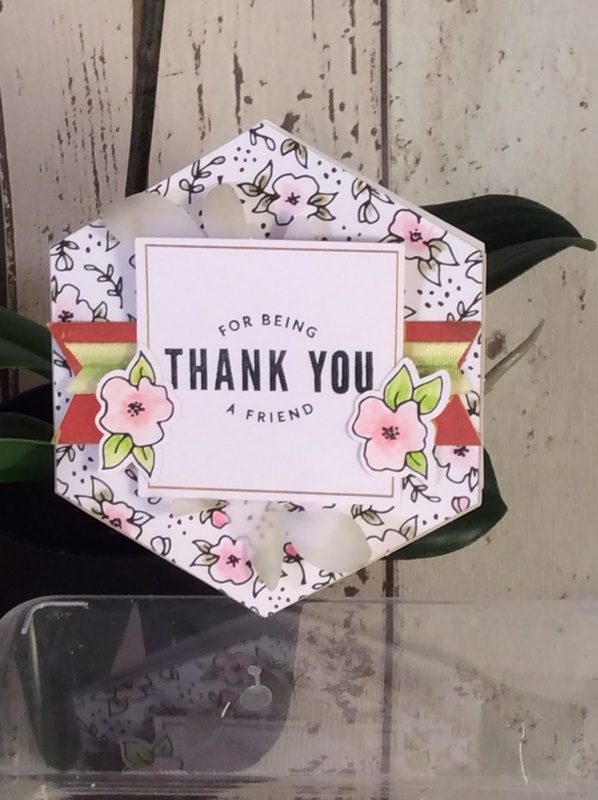 When shopping with me, for orders over £30, who use the hostess code I will send a card and a gift in the post at the beginning of March as a thank you..... more lovely crafty goodies! 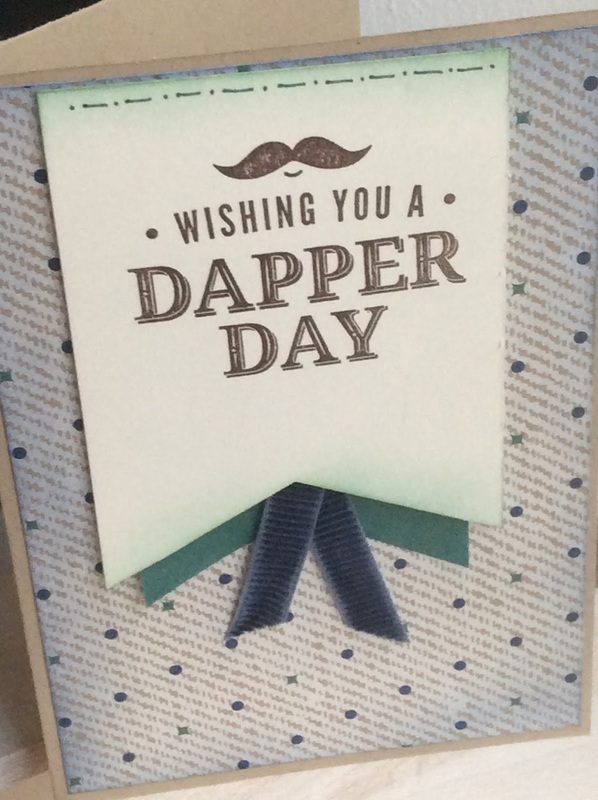 Another card today from the 'True Gentlemen' suite. 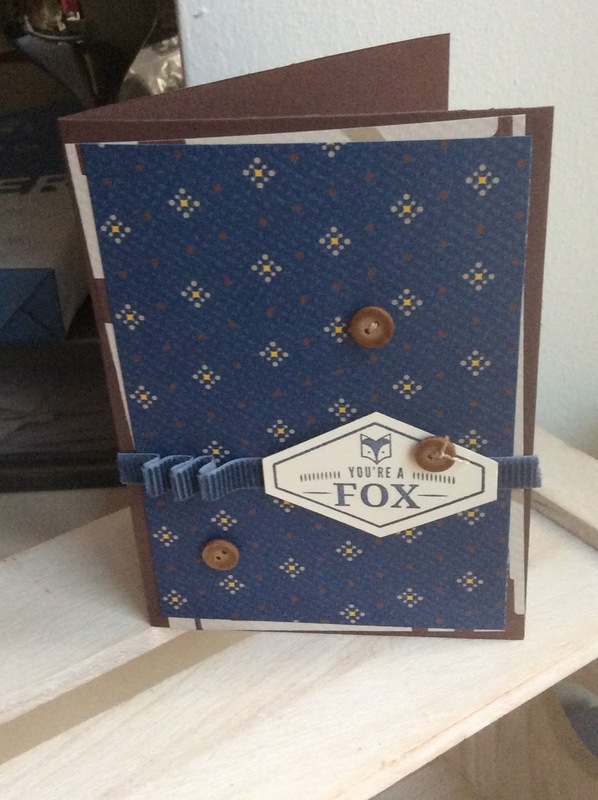 Love the paper and the ribbon and the buttons and everything else!!! Here it is, the amazing stamparatus. I didn't really realise I needed this until I started to use it. 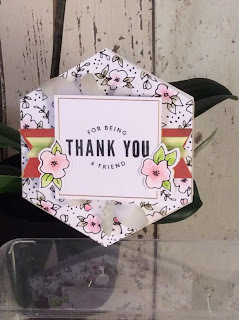 I have used a 'Misti' in the past when I was creating 170 place setting name things for a wedding and a friend came to class with her Tim holtz stamp positioner which I did like and she said she used it all the time but I love my Stampin'Up blocks. Ergonomically they are the best in the business. However this piece of kit is going to be worth every penny. 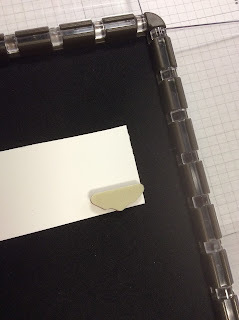 The two transparent plates can be moved, and that is the really useful part of this tool. The whole thing is solid yet light weight, it feels good in the hand, is obviously quality. 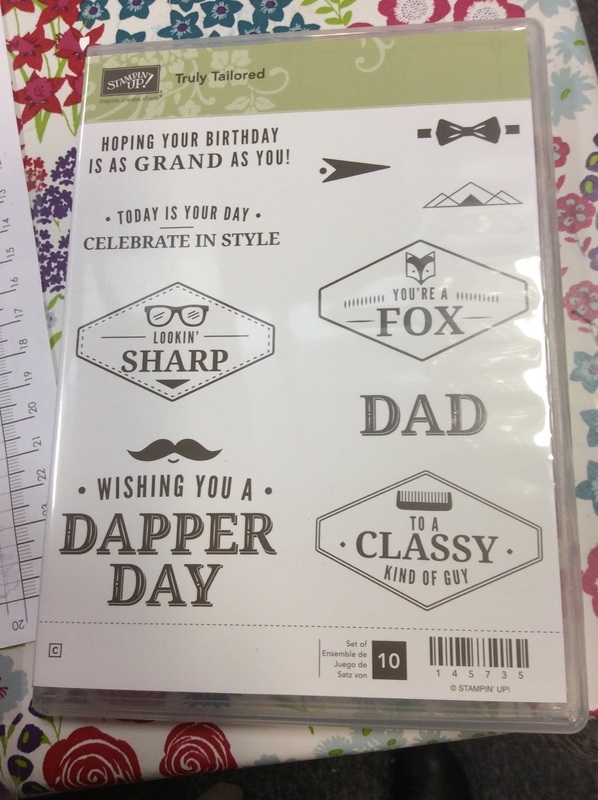 My UPS bought me a big parcel last Friday, in it was all of the 'True Gentleman' suite in the current Stampin'Up occasions catalogue. My starting point with any suite is to 'case' the catalogue. As I am a person who prefers punches to dies this set was made for me. I decided to start with the card that used the punch the most. 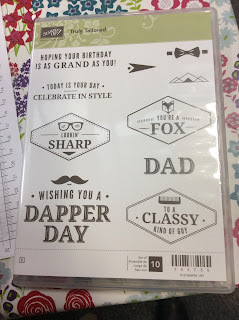 I enjoyed punching the diamonds from the designer paper but when it came to the stamping I was very puzzled. How would I stamp that line of geometric shapes around the sentiment when the stamp was so small and rubber not see through photopolymer? This is the stamp set and the scissors point to the small geometric stamp. This is where the stamparatus comes into its own. The orange things in the picture are my magnets covered with some old washi tape to make them easier to get hold of. The card is held down with magnets. 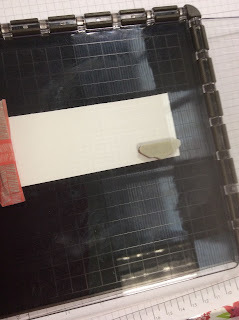 The stamp is intially placed onto the card where you want it to be stamped.Then the transparent plate is shut. 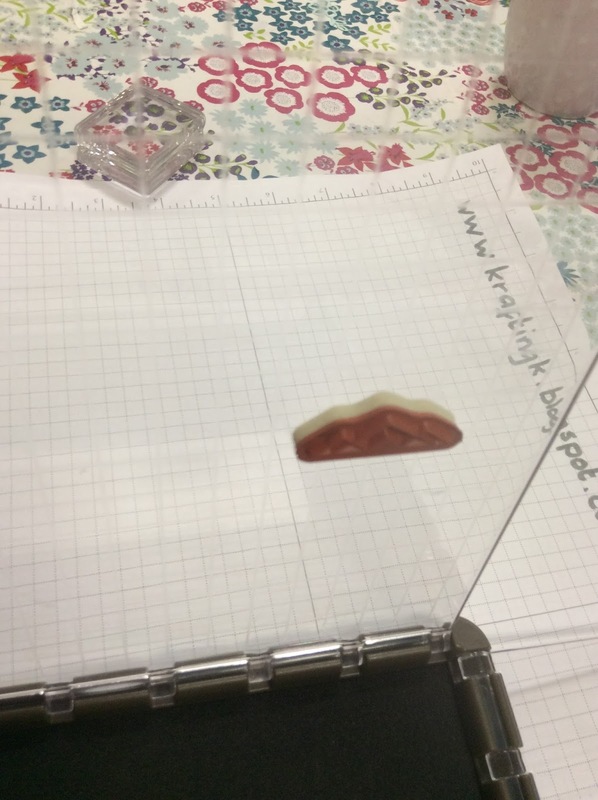 The stamp then sticks to the plate. Ink, close the plate, lift the plate and voila. Now for the clever bit. Leave the stamp where it is, lift the plate out of the fixing and move it down one notch, ink and stamp again. whoop whoop they match up. As you can see from my sample you do need to be careful to keep the ink on the areas you want and not on the edge of the rubber! Continue moving the plate down until you have completed the line. So easy. The stamparatus will be available in June in the new Stampin'Up catalogue. More cards, bags and boxes with the 'True Gentleman' suite over the next 9 days. Destite having being retired/self employed for over 5 years I still hate Mondays. But I do love Tuesdays. Tomorrow its my busy day of classes. In the morning from 9.30 - 11.00 its card and a cuppa in The secret Cafe. We will be making 2 cards using the Daisy Delight stamp set, a little daubing and lots of 'post it notes'. Drop in to see what its all about. In the afternoon card class we are not making cards this week. We are making a spring frame, in a sampler layout. 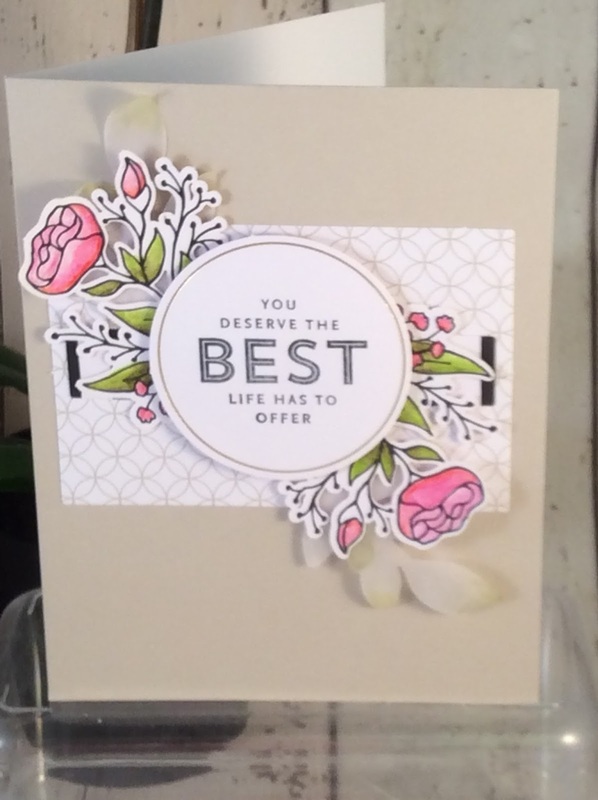 My starting point was the petal palette designer papers and stamp set. I had great fun die cutting and stamping and for the colouring I have used my new 'Blends' pens. With a limited palette its possible to create something pretty and fresh. Love the effect of the 'Blends' pens. If you would like to join us tomorrow to make the frame please message me before 11.30 so that I can ensure I will have enough of the actual frames. Tomorrow I will be showing you my first make using my Stamparatus! pop back tomorrow evening. When you have had a browse and are ready to place your order use the hostess code UPPSPQHK before you shop. 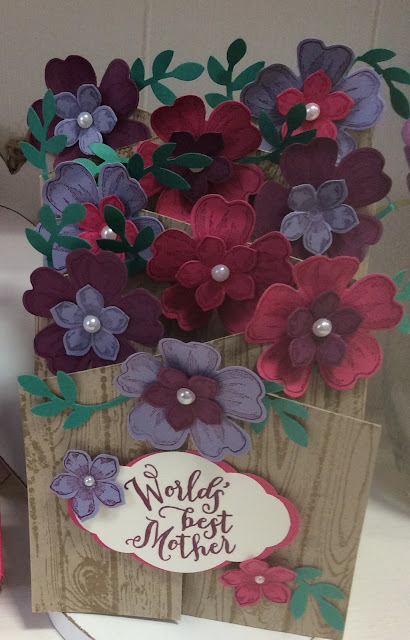 When shopping with me, for orders over £30, who use the hostess code I will send a card and a gift in the post at the beginning of March as a thank you..... more lovely crafty goodies! 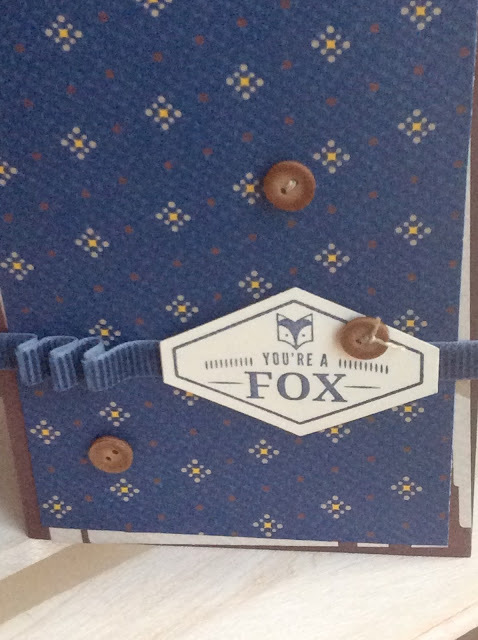 I had to share this card. I couldn't bring myself to stamp a sentiment on it I just thought it was stunning as it was. I call this using Brusho in a controlled way! 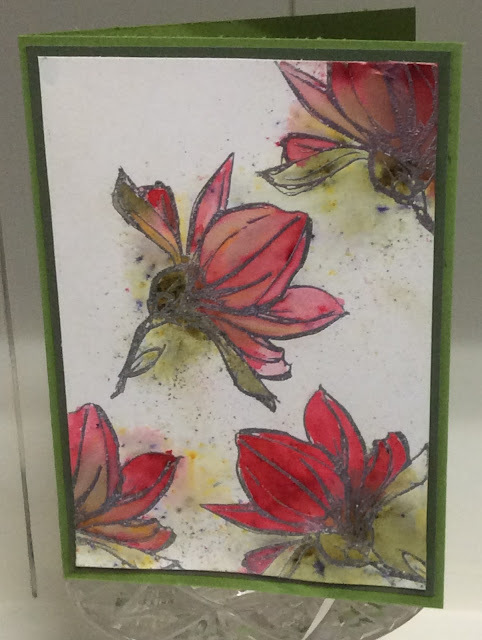 I have used the white shimmer card, starting with silver embossing the flower I then used the aqua painter for the petals and VERY lightly sprinkled the red powder. I helped it spread with the aqua painter then left it to dry. The good part was that the sprinkles that hadn't gone into the petals I was able to shake off. I had left the bottom parts either side of the flower empty as I see them more as sepals than petals and so should be green. By clicking on any of the product numbers above you will taken directly to my on line shop. When you have had a browse and are ready to place your order use the hostess code UPPSPQHK before you shop. When shopping with me for orders over £30 who use the hostess code I will send a card and a gift in the post at the beginning of March as a thank you..... more lovely crafty goodies! 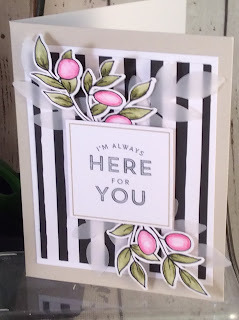 It is another day and the final day of a Brusho inspired make but I am also adding this to the Inspire Create Stamping Challenges page you can find it here Its a great place for inspiration. The challenge changes every fortnight on a Wednesday, this is my first contribution. Some times you need that bit of inspiration. This week the challenge is a sketch challenge. This means that you get a layout for you card and you can use anything to create the layout. Other challenges include a colour challenge and a theme challenge. I had already cut up my piece of brusho background and mounted it onto black to make the colours pop, I had stamped my dragon but was wondering how to put them together, the sketch challenge came to the rescue. I did think about adding a sentient to the front but wasn't sure what! I'll think about that tomorrow and it will now go on the inside. The magical day stamp has a matching framelit die set too. When you have had a browse and are ready to place your order use the hostess code UPPSPQHK before you shop. When shopping with me for orders over £30 who use the hostess code I will send a card and a gift in the post at the beginning of March as a thank you..... more lovely crafty goodies! 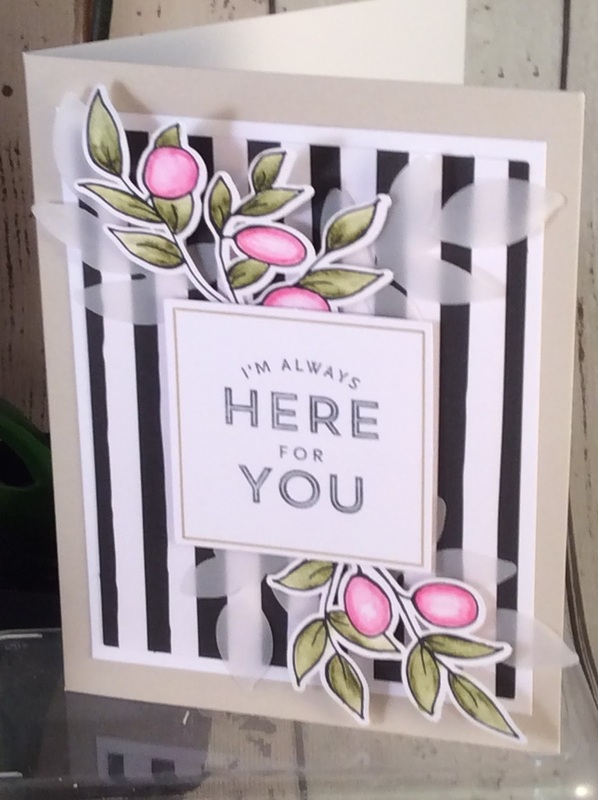 Another card using the brusho background I did last week. This is the moss green brusho paint. Its wonderful, its not really green, it has specks of other colours in it including purple which you never know when its going to pop up. If you mix this with the yellow you get another shade of green, you can also mix it with a bit of orange of course you can get a more standard green by mixing the prussian blue and yellow paint crystal. I will bring you more of that next week. Back to this weeks. On Wednesday Thursday and Friday I have some other interesting makes for you using this lovely paint crystal. I have a class on Wednesday morning and I don't want to spoil the surprise for those coming. For todays card I have returned to the 'magical day' stamp set, this time the wizard. I would have liked to put some sparkle on his clothes but I wasn't sure how. I'm not a glitter girl! I have coloured the magician with marker pens, perfect plum and smokey slate for his hat. I had the mixed sequins for a while and knew they would come in for something. This picture shows you the bit of purple that s in the moss green brusho crystals. Can you see where this piece of background paper has come from? 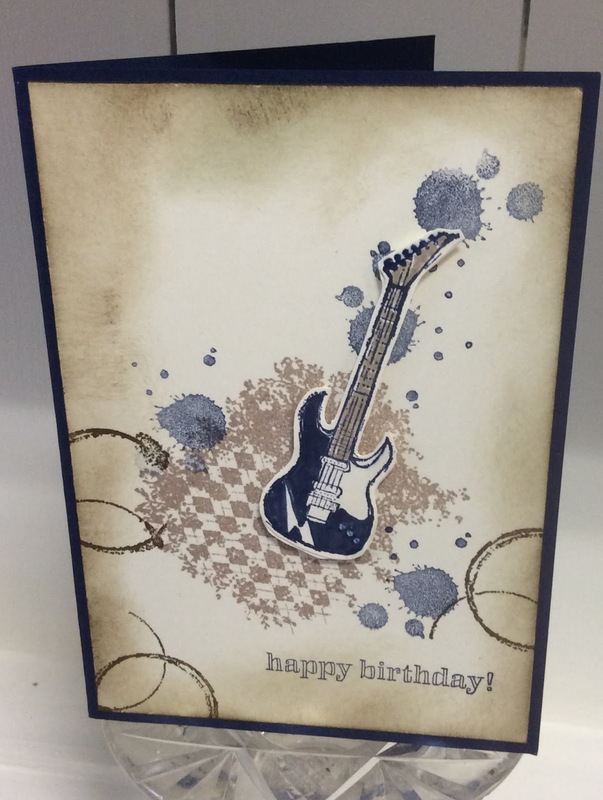 I now have these two cards made with this one piece of brusho coloured paper. The magical day stamp set also has matching framelit dies. The instructions are simple and easy to follow. The bits that press out come out easily and don't leave little tags. If you have enjoyed making it you can buy a refill pack with just the card bases and toppers after all you will have the stamps, ink, block and watercolour pencils from the original kit. 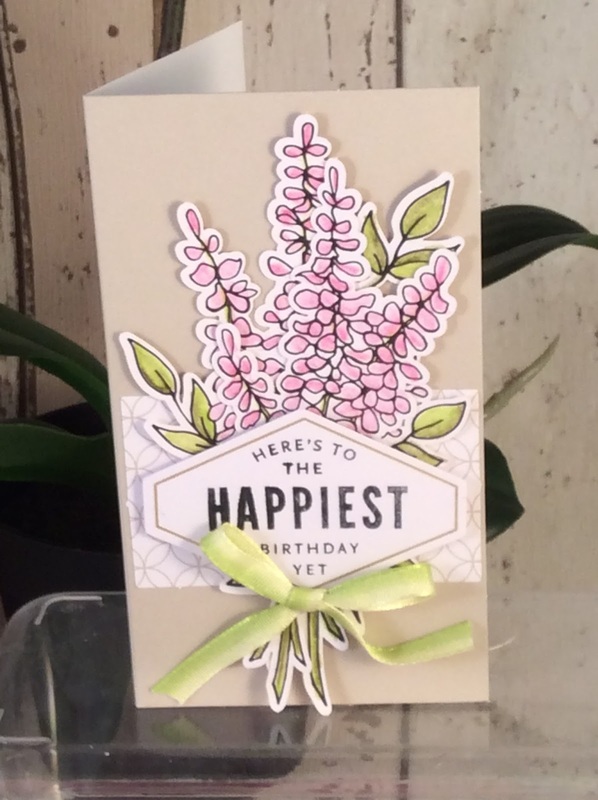 The kit makes 20 cards, 4 each of the 5 designs. So pretty.